This 12x15 silver metallic reflective bag is sturdy and colorful. 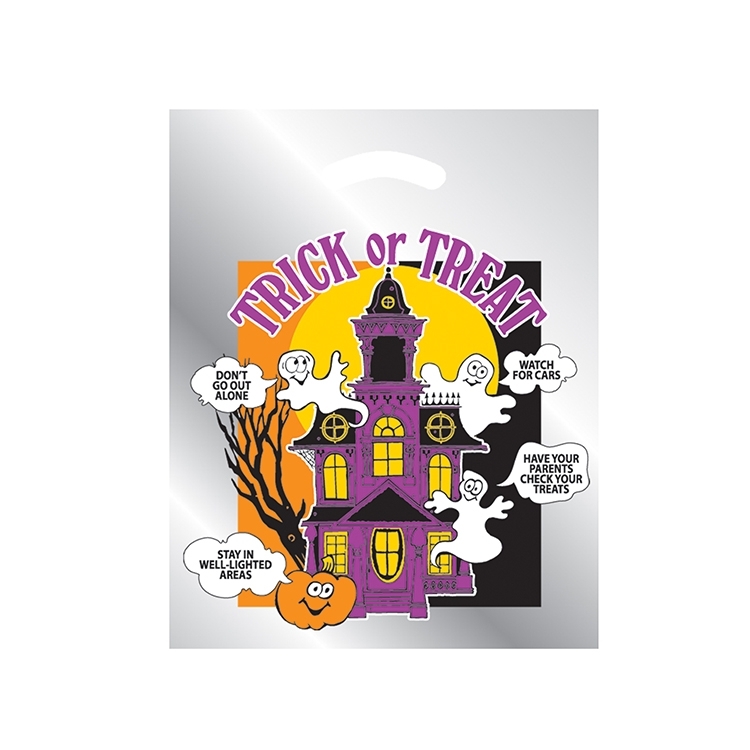 Decorated with our stock Haunted House stock design, you can add your own customization with black ink on the back of the bag. Let those Trick or Treaters advertise your business while collecting their treats! 500 per case @ 17 lbs. • Available in metallic orange reflective film only. • Imprint area: 6"w x 6"h.
• Maximum 1 color (BLACK) imprint on back of bag. • Special Halloween plate pricing - $30.00(G).